Interview with Keith Teare from just.me: "Users are who we serve." Just.me is not simply another social network, but rather shifts its focus away from the web to mobile communication. The app concentrates on the mobile address book and allows users to chat and share content with their contacts in an easy way. In this interview Keith Teare, the founder of just.me, reveals some of the secrets behind his long career as a founder and co-founder of several startup companies. unternehmer.de: Tell us about yourself! Who are you? Keith Teare: I am the British born founder of just.me. I have lived in Palo Alto since 1997. I also co-founded EasyNet; RealNames and TechCrunch. unternehmer.de: What was your inspiration and when did you actually decide to found your own company? Keith Teare: The inspiration was seeing the iPhone and starting to think of the mobile address book as a better place to store contacts, friends and family than a centralized system like Facebook. This gives a user great control over who they share things with and when. I decided to go for it in January 2011.
unternehmer.de: Where did you work before and how did all founding members get together? unternehmer.de: How do you set yourself apart from your competition? What makes your company special? 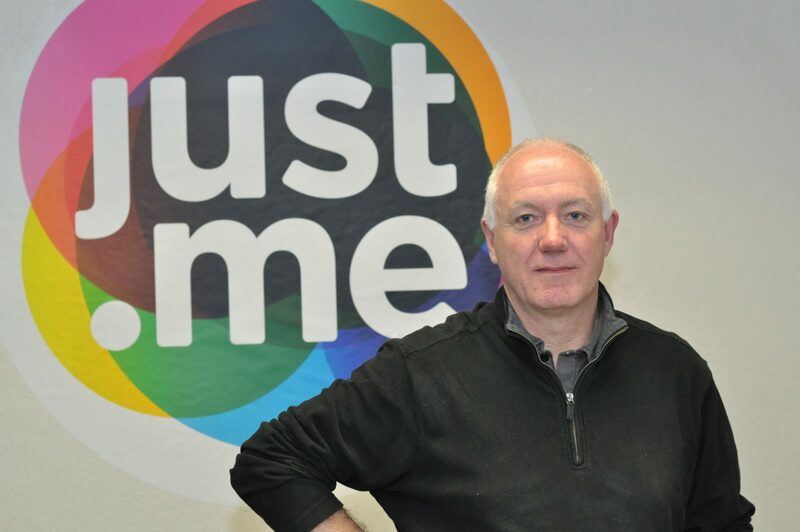 Keith Teare: just.me is very focused on delivering a messaging and social networking experience on mobile. We are not a web company. 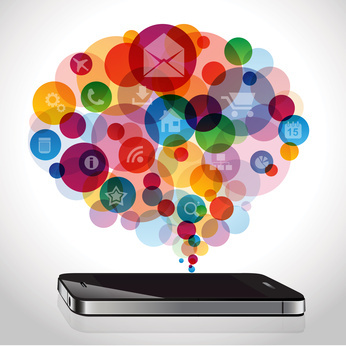 We are also focussed on the mobile address book as the center of gravity for messaging and sharing. That gives the user absolute control over what they share and with whom. These things are very distinctive. Users are who we serve. To that end, we are also strong opponents of targeting users with ads. An app should deliver functionality not marketing. 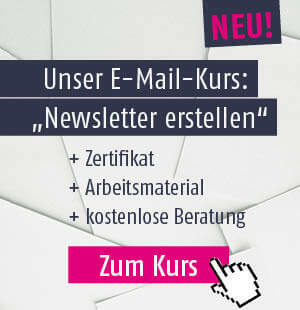 unternehmer.de: Just.me offers a wide range of features. In your opinion, which one is most innovative? Keith Teare: There are two. The first is automated group creation. When you send a message to more than one person we “remember” the group and create a temporary record for it in the Contacts area of the app. Users can make the temporary group permanent. We also share that group to all recipients, so nobody has to create groups. Secondly, we have a group album feature. Imagine several parents at a sports game for the children, all taking pictures and videos. One parent sends a batch to the others, the others reply with their images and videos. All of the parents get a full album of the event with everybody’s media. This kind of collaborative creation and sharing is very hard with existing technology. We have made it simple. unternehmer.de: What about your financial situation. How did that work out? Do/Did you have financial backup? Keith Teare: We have raised funds from Google Ventures; True Ventures; CrunchFund; Ron Conway; BetaWorks and Khosla Ventures. We are currently taking in new investors. unternehmer.de: Back to the beginning: What are the biggest (business) mistakes you made? Keith Teare: Partnering with Microsoft during the RealNames era. unternehmer.de: Now, let's focus on the positive aspects! In retrospect, what are the things you are particularly proud of? Keith Teare: I am proud that I keep trying to imagine the future and can build teams to execute on the visions we create. Failure and Success are all part of the journey. Failure is inevitable if you try enough things. Success is rare and a great pleasure. But I am proud of all of them. EasyNet brought internet to the masses. RealNames brought the internet to non-English speakers around the world. TechCrunch and Mike Arrington helped give birth to Web 2.0 and just.me is freeing users from centralized social networks by empowering sharing from the mobile device and the address book. unternehmer.de: What piece of advice would you give other startups? Keith Teare: Think Big. Be persistent. unternehmer.de: Are there any things you still need? (like an employee, an investor, …)? Keith Teare: We always need investors. unternehmer.de: Where do you see yourself in a year? Keith Teare: At just.me with over 5m users. unternehmer.de: Is there a funny story or a peculiar incident regarding your company you'd like to share with us? unternehmer.de: Short question – short answer: Are you planning a business exit strategy? Yes? No? unternehmer.de: If you could choose any guest for a business lunch, no matter if real or fictional, alive or dead, who would it be? What would you like to talk about? Keith Teare: Karl Marx. Why Capitalism still exists. Wer das Interview lieber auf Deutsch lesen möchte, findet auf der zweiten Seite die Übersetzung.